Nestled in the center of Europe, Czechia is a fairy tale country with exceptional opportunities for photographers. Although it is relatively small in size, the Czech Republic will amaze you not only with its majestic castles, medieval towns and cobbled streets surrounded by colorful houses but also with its rich nature and breathtaking landscapes. Iceland the ”Land of Ice and Fire” is one of the most spectacular places in the world. Over 10 days, our photography subjects will range from immense glaciers and cascading waterfalls to black basalt beaches. Ever changing light conditions challenge us every time, but reward us later. Last but not least, the Northern Lights might dance in the sky, and we will be there to capture this unearthly spectacle. Second turn up on request. Located within the Arctic Circle, the Lofoten Islands offer spectacular opportunities for photographers. We will soak in the dramatic landscapes, incredible fjords, crystal-clear sea against a backdrop of gigantic mountains, and authentic fishermen’s life in well-preserved old fishing villages. Here you can experience Aurora Borealis in all its glory, flowing over arctic beaches and rugged fjords. Who wouldn’t love to shoot the sunrise in Bagan overlooking over 2000 ancient temples with dozens of hot-air balloons floating over them? Myanmar (formerly Burma) is a world treasure because of its warm-hearted, smiling people who make it a truly magical photography destination for capturing candids and compelling portraits of locals. Myanmar was frozen in time and opened its doors to the world only a few years ago. Now is the right time to experience the vibe that may vanish in the next couple of years. Let us take you to one of the most spectacular locations in the world. Cascading waterfalls, snow-covered mountains, rugged coasts, ancient forests, crystal clear lakes, and magnificent fiords. This and much more we will photograph in the paradise of New Zealand. Last but not least we will experience an unforgettable helicopter flight in Mount Aspiring region and a cruise in the heard of the Milford Sound. 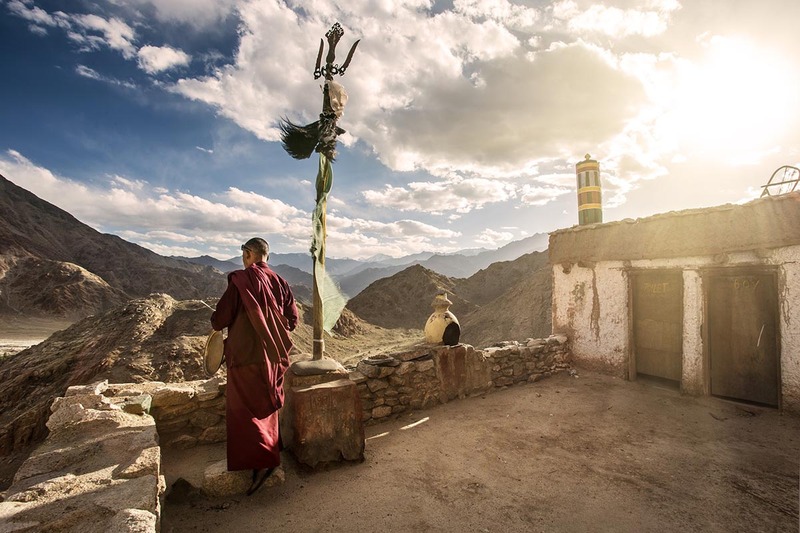 Ladakh located in the Himalayan Mountains is undoubtedly one of the most unique places in the world. The atmosphere of the Buddhist Monasteries, towering peaks, authentic life of the monks, crystal clear night sky – All this and much more we will witness on this unforgettable trip. > Notify me when it's out! Peru – It is not only Machu Picchu, but Peru also has much more to offer. Colorfully dressed locals, walking lamas through streets of colonial Cusco help us to emerge with the old Inca culture. 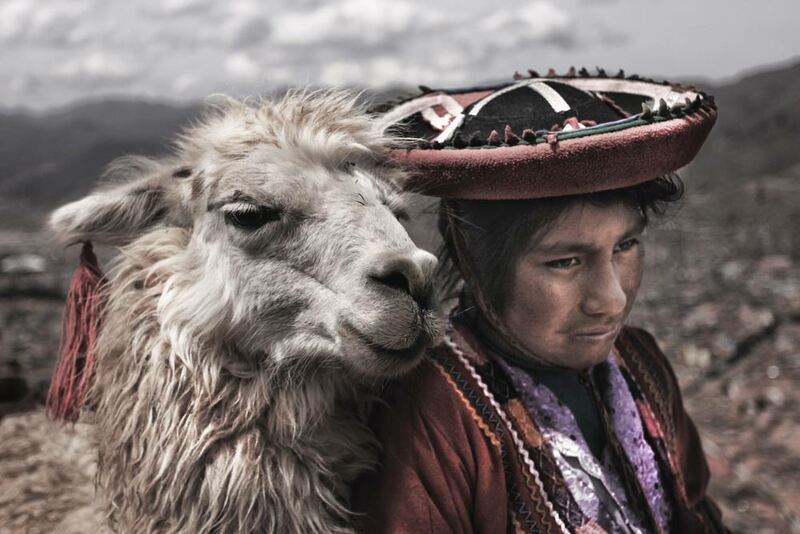 We will focus on travel photography in Sacred Valley that represents Peru as we know it. Scotland – Wild and unchained nature in its most raw form can be found on the north of the United Kingdom. Our photo tours will focus on landscape photography mostly around the magical Isle of Skye and Glen Coe. Nature will be full of vibrant autumn colors, moody scenes, and emotions. We enjoyed the tour to Iceland so much that immediately signed up for the incoming tour to New Zealand with Inscape Photo Tours. Martin and Jan are very professionals. They have the ability to teach at all levels with patience and encouragement. I’m personally improving my photography techniques by capturing amazing images in some of the most incredible travel destinations under their direction. We are also happy that we had the chance to meet nice people, especially on the New Zealand tour. We had fun and unforgettable memories that will stay with us forever! I have booked 2 photo tours with Inscape Photo Tours, the first was the trip to Iceland and the 2nd one was to New Zealand. Both tours were extremely well organized. Both Martin and Jan are excellent in assisting the clients. I had a fantastic time on both tours and can only recommend taking part in these tours. I am already preparing for the next on in Lofoten! What an incredible tour! I was able to get the most iconic shots I’ve been after for years. Each day was extremely well organized so that we were able to best make use of the light and location. Even when the weather wasn’t cooperating, there were contingency plans on what best to shoot so that no time was ever wasted. Martin and Jan’s expertise and friendliness was over the top. Their unique ability to provide individual instruction on both composition and editing to photographers of various levels of experience was amazing. I’m thrilled having finished this photo tour with dozens of pictures I’m proud to hang on the wall and can’t wait to sign up for the next trip! Our InScape photo tour of New Zealand definitely exceeded our expectations. Martin and Jan were excellent guides, everything was well coordinated and they even arranged for the weather to cooperate! In addition to spectacular scenery and shooting locations, their attention and patience assured that we were all better photographers by the trip’s end. Not to mention, it was a lot of fun! We were very satisfied with all aspects and plan to book another tour with InScape.